We have reviewed ASUS’s entry-level gaming laptop ASUS R510J – a budget gaming laptop few days ago. You can also watch ASUS R510J detailed video review on that laptop as well. 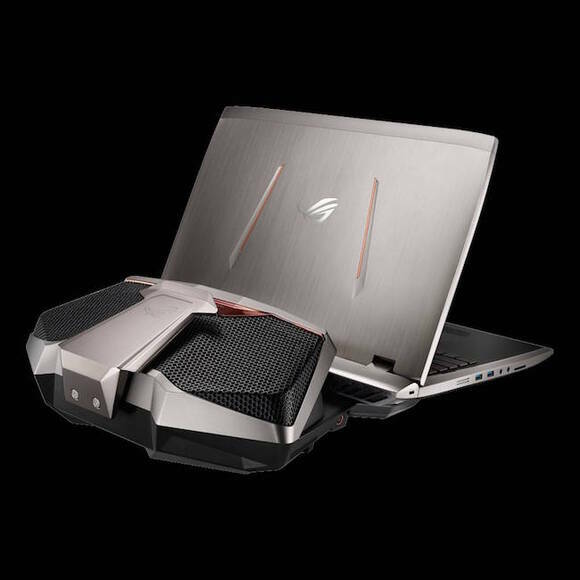 Today we are going to discuss about another offering from ASUS for gaming freaks which is claimed to be world’s first liquid cooled laptop called as ASUS ROG GX 700. 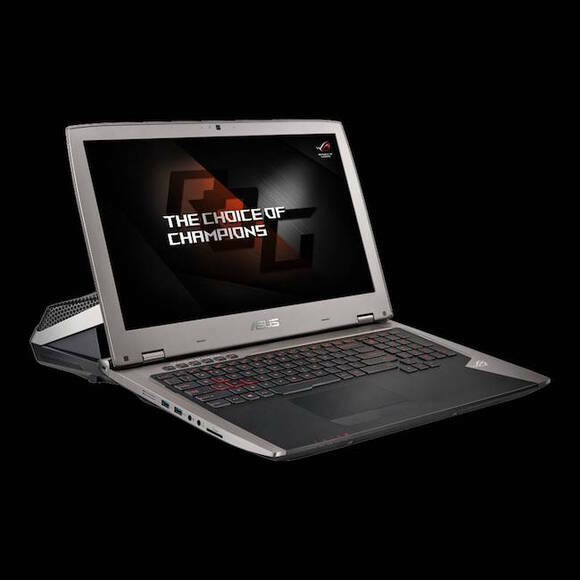 ASUS ‘Republic of Gamers’ (ROG) recently unveiled their premium flagship laptop ROG GX700 in India. 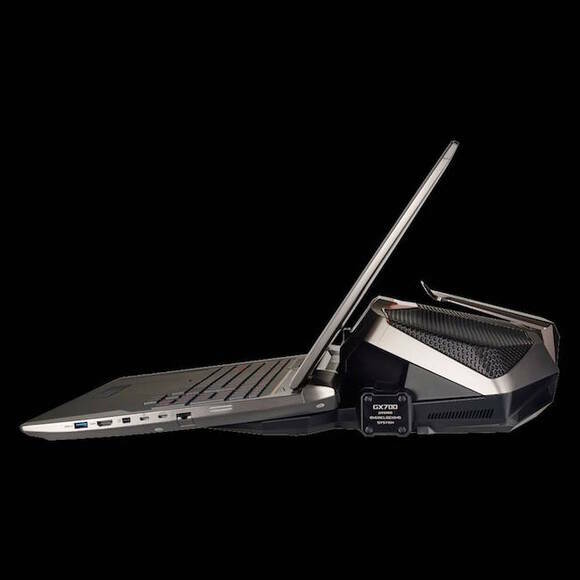 The laptop includes high-end components under the hood and a ROG-exclusive Hydro Overclocking System cooling module which is detachable. Supplied accessories along with the laptop also include gaming mouse and suitcase. ROG themed briefcases are specially designed to pack the laptop. By introducing this laptop Asus has shown the world once again that they have the ability to launch world-class gaming laptops at a decent price. Let’s have a look at ASUS ROG GX700 specifications, features and other key factors that stand this laptop out of the crowd. Asus ROG GX700 has a stunning look and colour combination of grey, sliver and metal makes it more elegant but due to strong hardware configuration feels a bit heavy. Along with the 6 cell battery it weighs 3.60 KG. The laptop has large 17.3 inch 4K Ultra HD display, 3840 X 2160 screen resolution, 259 ppi pixel density and NVidia G-Sync for detailed images and clear visuals. The anti-glare screen reduces the glare which helps to avoid strain on the eyes. The laptop offers big 417mm sized Illuminated Chiclet type keyboard with 19mm full size key pitch and integrated numeric keypad for smooth typing experience. It has a large and sensitive touchpad mouse too. The laptop includes one Microphone-in jack, one Headphone-out jack, one RJ45 Jack to insert LAN, one HDMI port, one mini Display Port, one USB 3.1-Type C port with Thunderbolt and three USB 3.0 ports. It also has built-in speaker, array microphone and a subwoofer. Although the performance of a processor highly depends on the applications that are being run on the computer, yet 2.7 GHz Intel Core i7-6820HK Processor (which is used in ROG GX700) can be considered faster than average processors. It comes along with Intel’s Turbo Boost technology, which automatically increases the processing speed of 0.9 GHz and can go up to 3.7 GHz. 8 MB CPU cache is more than enough for a laptop. The Laptop offers 16GB DDR4 RAM, which is expandable up to 64GB via 4 dedicated slots at the bottom so running multiple applications won’t slow down the system. The laptop runs on Windows 10 (64bit) operating system. ROG GX700 offers 1000GB storage on a solid state drive (SSD) which is newer and faster alternate of hard disk drives (HDD). So users you can download unlimited movies, video games, images, music files etc. without any hassle as it has a huge capacity to store data. 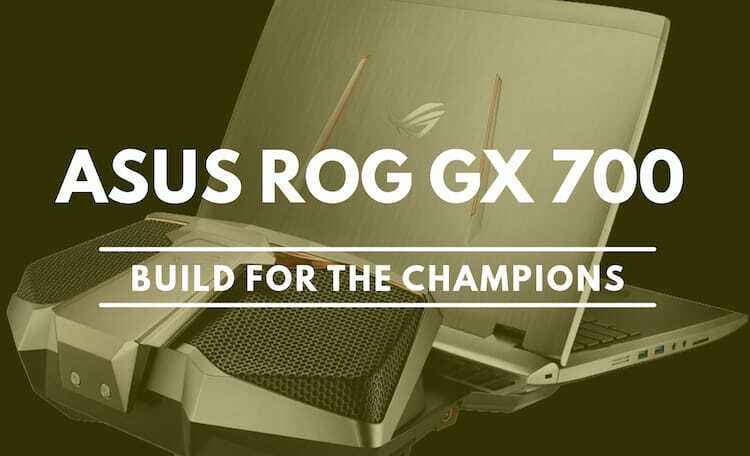 Asus ROG GX700 is powered by the 6th-generation Intel® Mobile K-SKU (Sky-lake) processor to make sure super fast performance and includes NVIDIA GeForce GTX 980 graphics card to give high quality graphics while gaming. The laptop boasts Hydro Overclocking System for superior overclocking, it has the ability to overclock CPU by 48% and 64GB DDR 4 memory by 43%. Apart from overclocking it also provides excellent cooling capabilities. The laptop features a liquid-cooling dock which is based on a custom self-sealing valve design which is basically a highly reliable pump that doesn’t make noise. Though, it can run without liquid-cooling dock as it packs traditional cooling too. GX700 also features dual 92mm radiators that are capable of dissolving over 500 Watt of heat. Asus ROG GX700 comes with a strong 93WHrs, 3S2P, 6-cell Li-ion Polymer Battery Pack, which is essential for a gaming laptop because high end graphic games drain out the battery quickly. Users also get a 180 Watt AC Adapter along with the laptop. There is a HD web camera at the top of the screen and connectivity options include Wi-Fi 802.11 for wireless connectivity and Bluetooth 4.0 (Dual band). The laptop supports up to 1000 MBPS of LAN speed. Asus ROG GX700 is priced at INR 4,12,990 in India. Asus has rolled out limited stock at the movement which cannot be purchased through online or offline retailers. 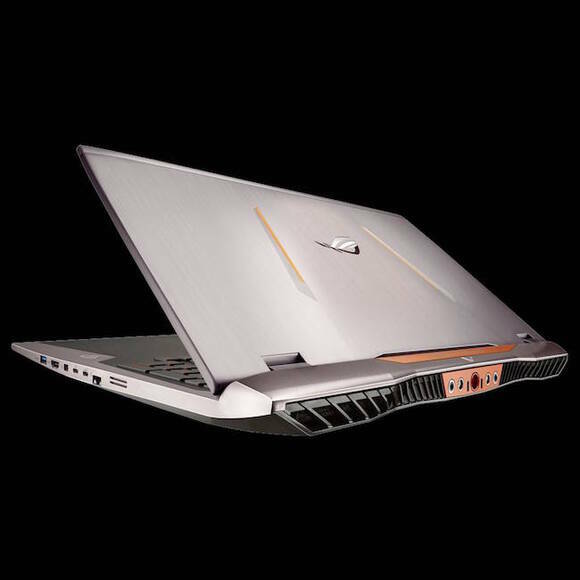 ASUS GX 700 is available on request at ASUS’s website and check how to buy ASUS ROG GX700. With bigger screen size, awesome display and powerful processor, ASUS ROG GX700 has all the qualities that a gamer expects from his/her laptop. The advance cooling system and ability to increase the clock speed also make it suitable for professional gamers. Though, the laptop is a bit expensive and cannot be afforded by most of the people. In short, despite having some strong competitors like MSI GS70 stealth pro and Aorus V2, this laptop can storm the market due to its mind-blowing capabilities.